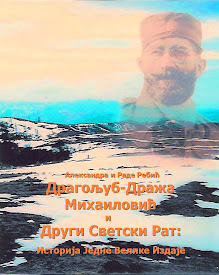 Aleksandra's Note: It is with great pleasure that I have the opportunity to post this tribute to General Draza Mihailovich by Sandi Radoja, editor of the "American Srbobran", which is published by the Serb National Federation. Over many years, Sandi has been kind enough to publish various tributes and essays that I've written in the "American Srbobran" and has always done a wonderful job! She's been a pleasure to work with, always professional, and I'm honored to be acquainted with such a fine American Serb patriot! 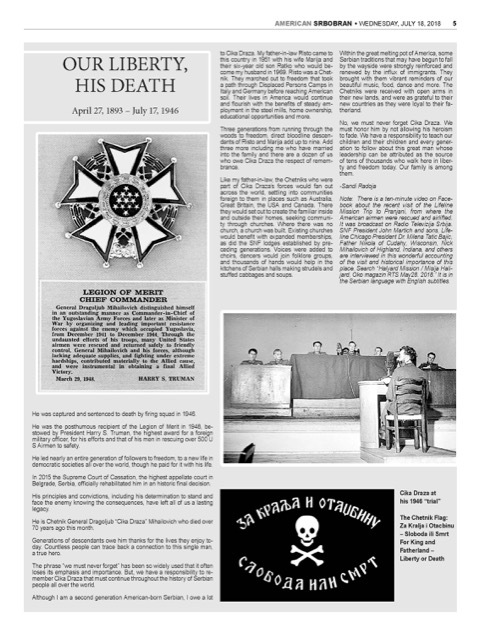 Thank you, Sandi, for always honoring General Mihailovich and his Chetniks through your work. You have done them justice. 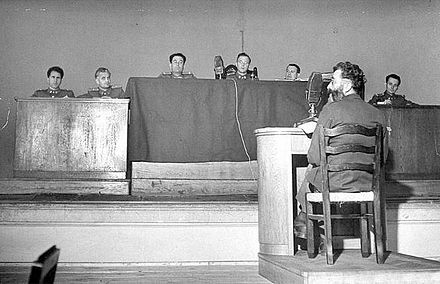 He was captured and sentenced to death by firing squad in 1946. 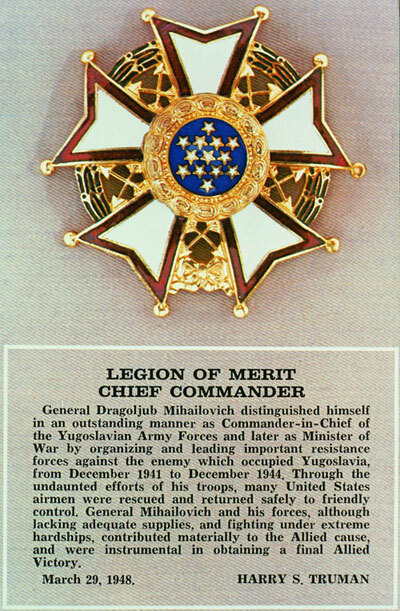 He was the posthumous recipient of the Legion of Merit in 1948, bestowed by President Harry S. Truman, the highest award for a foreign military officer, for his efforts and that of his men in rescuing over 500 U S Airmen to safety. He led nearly an entire generation of followers to freedom, to a new life in democratic societies all over the world, though he paid for it with his life. 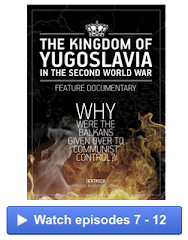 In 2015 the Supreme Court of Cassation, the highest appellate court in Belgrade, Serbia, officially rehabilitated him in an historic final decision. His principles and convictions, including his determination to stand and face the enemy knowing the consequences, have left all of us a lasting legacy. 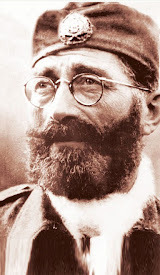 He is Chetnik General Dragoljub “Cika Draza” Mihailovich who died over 70 years ago this month. Generations of descendants owe him thanks for the lives they enjoy today. Countless people can trace back a connection to this single man, a true hero. The phrase “we must never forget” has been so widely used that it often loses its emphasis and importance. 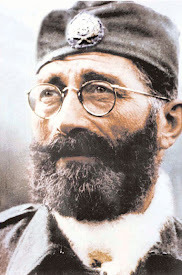 But, we have a responsibility to remember Cika Draza that must continue throughout the history of Serbian people all over the world. 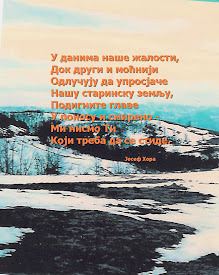 Although I am a second generation American-born Serbian, I owe a lot to Cika Draza. My father-in-law Risto came to this country in 1951 with his wife Marija and their six-year old son Ratko who would become my husband in 1969. 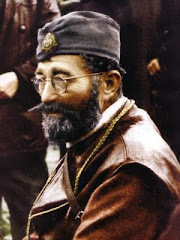 Risto was a Chetnik. They marched out to freedom that took a path through Displaced Persons Camps in Italy and Germany before reaching American soil. Their lives in America would continue and flourish with the benefits of steady employment in the steel mills, home ownership, educational opportunities and more. Three generations from running through the woods to freedom, direct bloodline descendants of Risto and Marija add up to nine. Add three more including me who have married into the family and there are a dozen of us who owe Cika Draza the respect of remembrance. 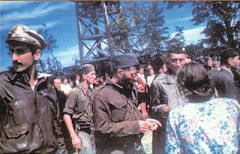 Like my father-in-law, the Chetniks who were part of Cika Draza’s forces would fan out across the world, settling into communities foreign to them in places such as Australia, Great Britain, the USA and Canada. There they would set out to create the familiar inside and outside their homes, seeking community through churches. Where there was no church, a church was built. Existing churches would benefit with expanded memberships, as did the SNF lodges established by preceding generations. Voices were added to choirs, dancers would join folklore groups, and thousands of hands would help in the kitchens of Serbian halls making strudels and stuffed cabbages and soups. Within the great melting pot of America, some Serbian traditions that may have begun to fall by the wayside were strongly reinforced and renewed by the influx of immigrants. They brought with them vibrant reminders of our beautiful music, food, dance and more. The Chetniks were received with open arms in their new lands, and were as grateful to their new countries as they were loyal to their fatherland. 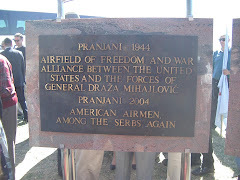 No, we must never forget Cika Draza. We must honor him by not allowing his heroism to fade. We have a responsibility to teach our children and their children and every generation to follow about this great man whose leadership can be attributed as the source of tens of thousands who walk here in liberty and freedom today. Our family is among them. 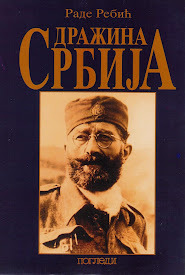 Used by permission of Sandi Tumbas Radoja, editor of the American Srbobran, published by the Serb National Federation. This commentary originally published July 18, 2018. Note: There is a ten-minute video on Facebook about the recent visit of the Lifeline Mission Trip to Pranjani, from where the American airmen were rescued and airlifted. 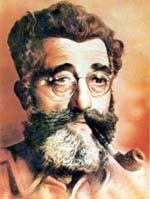 It was broadcast on Radio Televizija Srbija. SNF President John Martich and sons, Lifeline Chicago President Dr. Milena Tatic Bajic, Father Nikola of Cudahy, Wisconsin, Nick Mihailovich of Highland, Indiana, and others are interviewed in this wonderful accounting of the visit and historical importance of this place. Search “Halyard Mission / Misija Halijard, Oko magazin RTS May28. 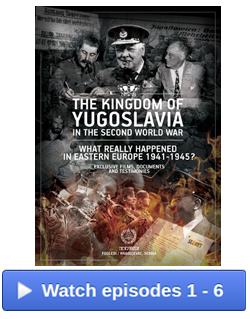 2018.” It is in the Serbian language with English subtitles.